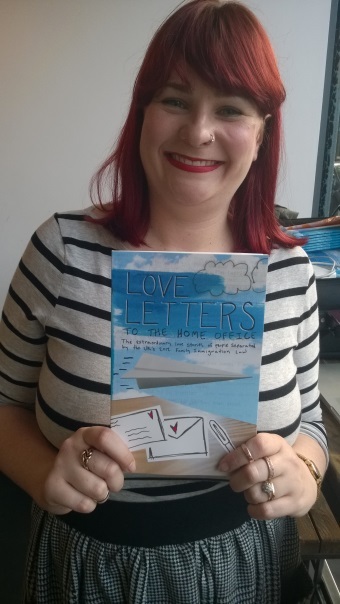 Tonight I was invited by Abbi to join the book launch of Love Letters to the Home Office, a collection of stories about families kept apart by the UK’s 2012 immigration laws. These reforms mandate a minimum income of almost £19,000 before you can begin to get your partner or your family home. 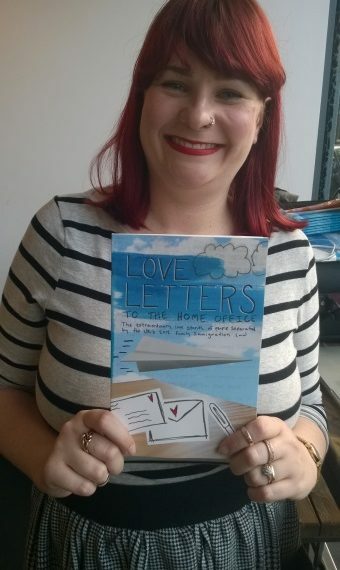 As it happens, I do know a little of what it’s like to say goodbye to someone you love at an airport, knowing that you have no legal right to stay in the same place together. “There’s a wee boy in Chandler, Arizona, USA. He’s 15 months old and his name is Robert. He has some baby toys but his favourite thing in the entire world isn’t a toy. Robert loves his mum’s Samsung tablet. He calls it ‘Da da’ and carries it around the house all the time. This is an entirely fixable problem: we don’t have to keep families apart, it’s something this country’s leaders are choosing to do out of cowardice. For that matter, we don’t have to have an insanely bureaucratic, officious and expensive Home Office either. And this is something which should alarm all British citizens because – take it from me – you never know when you might find yourself in love with the ‘wrong’ nationality. Instead of looking for a system to pretend to protect us from the world outside, we should be demanding a system which gives us our rights as full, global citizens who can now trade, communicate, move from country to country and start families across borders more than ever before. Abigail Osbiston liked this post. I feel like I have very little to say that the home office cares to hear? They are not really renowned for the quality of their investigations into who’s who!